Talking about money with anyone can be hard. 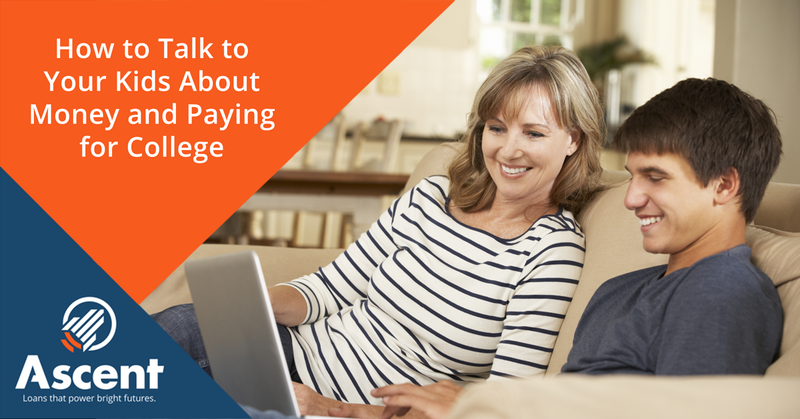 Talking about paying for college with your kids can be even tougher with all that is riding on a college education. But, the paying for college-conversation needs be had earlier before a college choice is made. So, here are three ways to talk to your kids about money and paying for college. 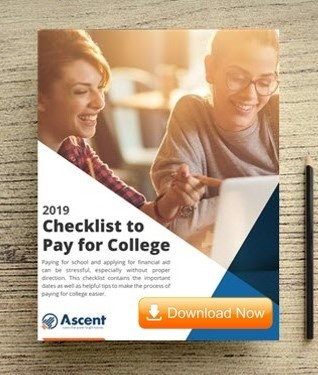 The cost of a college education can be intimidating and more to manage than a typical teen is used to handling. A teenager may not fully comprehend the value of loans. To the typical teen, loans may simply be numbers on a piece of paper. They may liken a loan to Monopoly money as if they were simply numbers on a piece of paper. Unfortunately, the consequences of not repaying one’s loan are often far worse than the fictitious game and heading to the “Go to Jail” space. Understanding basic money management is therefore the first step to not falling victim to the pit of student loan regret. Even though they’ll use real money to pay for college instead of Monopoly money, you can take advantage of games to help teach your children about money management and paying for college. The Finance Authority of Maine (FAME) created the online Claim Your Future game. This game teaches budgeting skills and develops a budget based on specific careers with real world numbers. If board games are more to your liking, Hasbro gaming sells Pay Day. This game provides you with $3,500 to get you through a 31-day month while encountering bills and expenses. This game also teaches the fundamentals of money management in a way that children of all ages can have fun with. What would happen if you told a three-year old to get whatever they wanted in a candy store, but when you got to the register, you only gave them $10 to pay? You would probably head home with $10 worth of candy and a confused, upset child. A similar situation is allowing your teen to first, choose a college, without having a conversation about what your family can afford to pay. You need to set the expectations early. Before even looking at a college, your child should know how much money you are willing and able to pay. Knowing how much you will contribute ahead of time allows your teen to make an educated decision about their college selection process. They need to understand all the variables to find the best fit for them. When borrowing thousands or tens of thousands of dollars, it’s difficult to fully grasp what these loans really mean to your child when it comes to repaying them. How can you say if $30,000 is too much to borrow or if it is a manageable sum? You’ll need to make the amount relevant to your child. Recall these three recommendations when you need help when teaching money management in your own home, but remember, these shouldn’t be your only means for teaching. Financial literacy is learned over a lifetime. The earlier you start these lessons, the more educated your children will be when they enter adulthood.